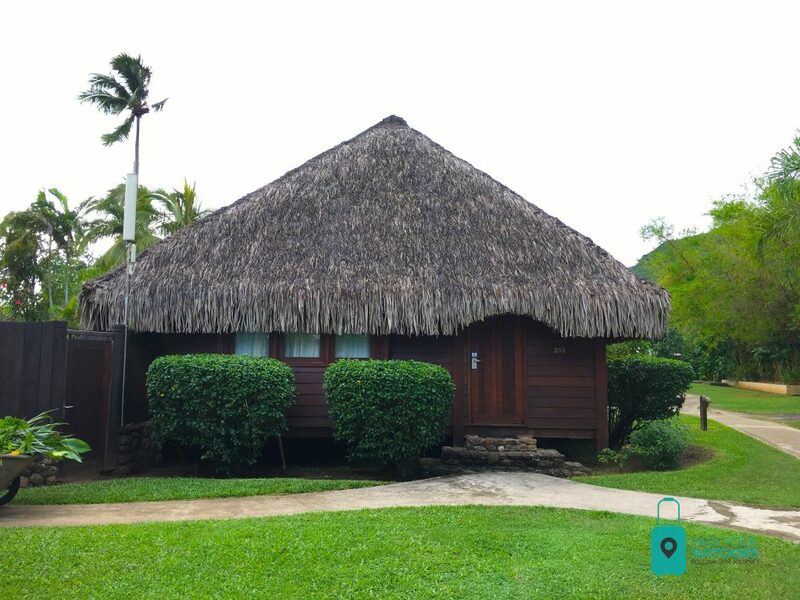 The Moorea Pearl resort & Spa is located only 10 minutes from the airport. 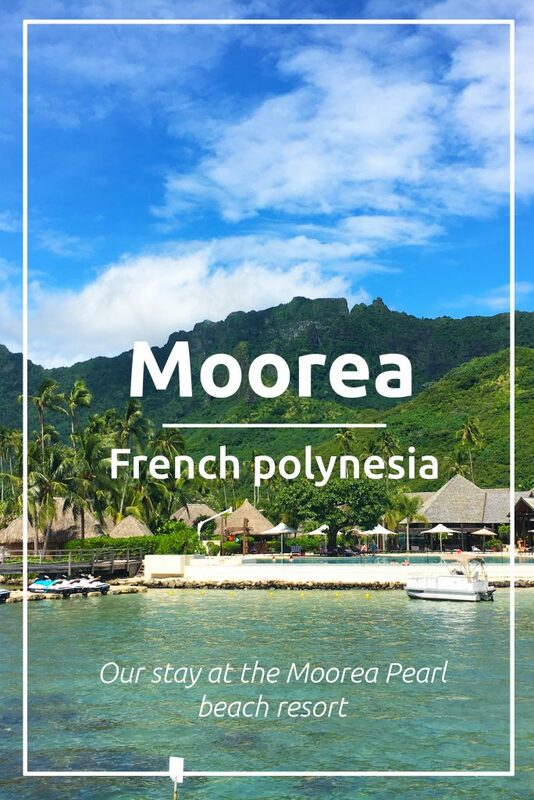 The drive over gives you a magnificent view of the lush and green mountains that create a very distinctive silhouette for Moorea. The island itself is shaped like a heart with two bays: ‘Cooks (Paopao) Bay and Opunohu Bay. Moorea is the second best honeymoon destination of French Polynesia (after Bora Bora). At the Moorea Pearl Resort & Spa we stayed in one of their 8 beach bungalows. We were first assigned to beach bungalow number 303, but after spending one night there we requested to be moved to another beach bungalow on the other side of the pool. The first 3 beach bungalows (numbers 301, 302 and 303) are located on the left side of the pool. 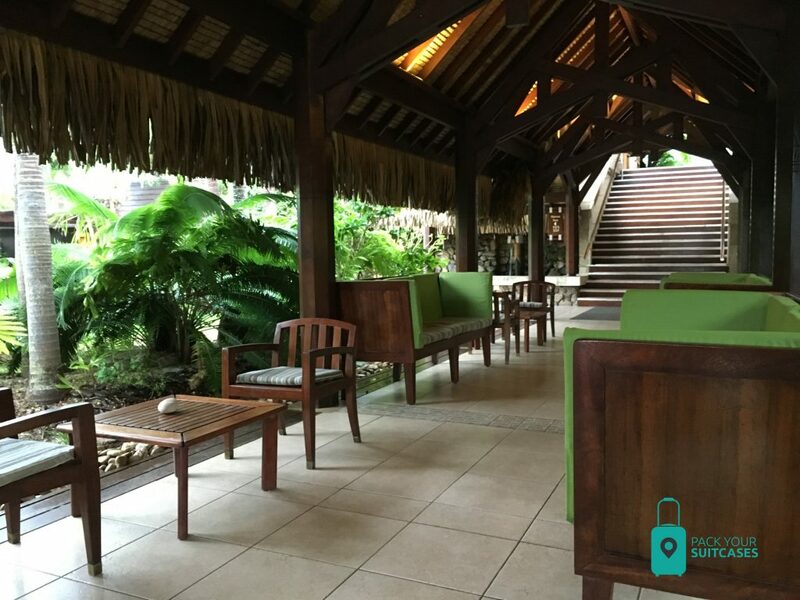 These beach bungalows face the overwater bungalows directly (you could literally look inside from your beach bungalow into the overwater bungalow in front of you), have the main restaurant and kitchen behind you and a small piece of beach in front of you. 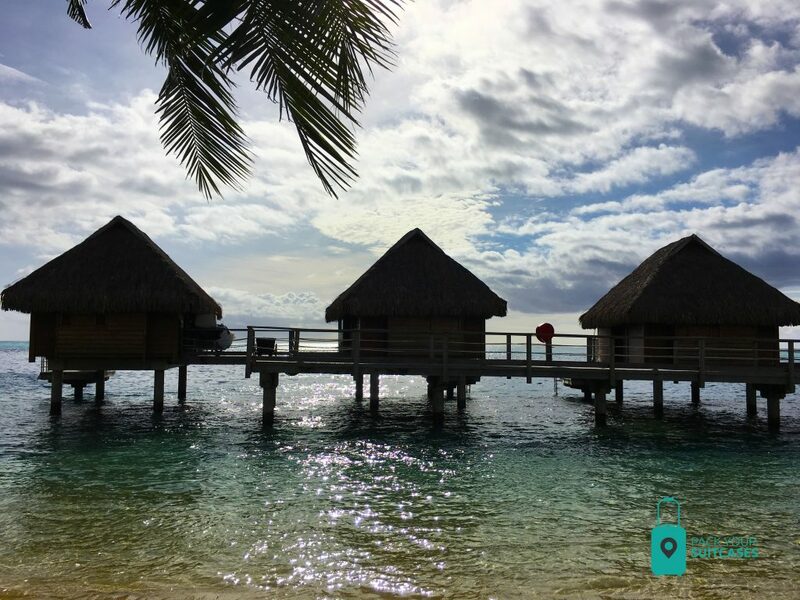 Overwater bungalows at the Moorea Pearl beach resort. What we didn’t like about the beach bungalows located here was that there was a lot of noise coming from the restaurant at night and in the early morning, you couldn’t enter the sea directly because of the overwater bungalows (you had to basically swim underneath the overwater bungalow to reach part of the ocean to swim) and all of the other hotel guests used the part of beach right in front of our bungalow. The beach part is very small, so you can imagine how crowded it got just before our deck. Sitting area at the Moorea Pearl beach resort. We were luckily assisted by a very helpful staff member (Here) and she switched us to bungalow number 306 which was much better. This beach bungalow is situated on the right side of the pool (in our opinion, the better side to be on when it comes to the beach bungalows). Not only was the part of beach in front of our bungalow a lot more private and we could enter the ocean more easily. We could also look out over the sea when sitting on our deck and even saw some dolphins right from our beach deck. How cool is that! The room itself was great. Very spacious with 475 square feet, an empty mini bar which you could stock up with food and drinks you could get at the supermarket down the street (more about that later) and the bathroom had a big shower with double sinks (always a plus when you are travelling with your significant other ;)). The safe inside the room was one of the biggest we had ever seen in a hotel room. We really think that a big safe is a plus. Especially nowadays when people are carrying so much expensive electronics with them, smart phones, e-readers, Ipads, cameras, you name it. The safe was big enough to fit most of our things. Garden view rooms at the Moorea Pearl beach resort. We really liked that our beach bungalow had a large deck with two sunbeds. We would relax on our deck and jump off it to get to the water. One thing we missed was a little step to get off the deck. We jumped off every time but we saw other people in de beach bungalows beside us who were a little older and didn’t feel like jumping. They had to use the door each time and walk around the bungalow to get to the beach. This was just a little thing that was missing and which would make the deck a little more user friendly for older guests and also for small children. The resort is not that big. 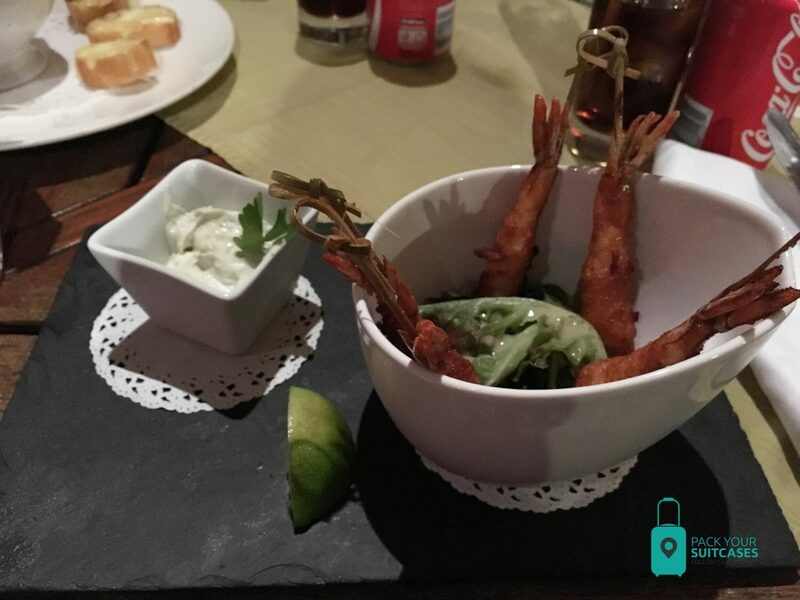 There is only 1 restaurant and 1 bar that also offers lunch. The breakfast is a buffet and was good. There was a variety of breads and pastries, fruits, yogurts, juices, pancakes, different kinds of cold cuts and cheeses and there was an omelet bar. We didn’t have lunch at this hotel, we choose to get lunch from the restaurants or supermarket near the hotel. Diner is a la carte and was very good. We enjoyed several great dishes but our favorites were the tempura shrimp appetizer, Asian style beef and the seared sesame crusted tuna! Dinner/meal plan at the Moorea Pearl beach resort. As mentioned before, the beach isn’t that big. There are small pieces on the left and right side of the beach. What we liked was that there were kayaks and paddle boards available to use free of charge. Also there are some big pieces of coral surrounding some of the over water bungalows, attracting a lot of colorful fish. The resort also have their own coral nursery where they try to multiply coral and give sick coral a chance of survival. 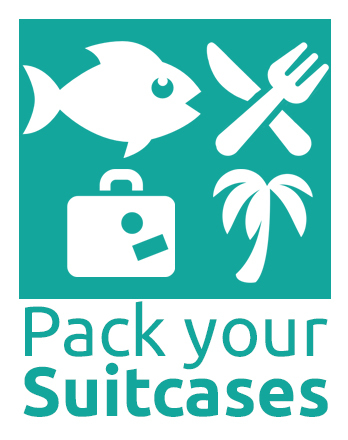 We think this is a great initiative to help maintain the corals and to protect them. The pool is ok, not that big though. A thing that we didn’t like was that the pool was open for guests from outside the resort. In the few days we stayed there, there were 2 afternoons where the pool was used to give a group of about 10 – 12 residents an aquarobics lesson. At these moments the pool got really crowded and it was kind of awkward being there while there was a class going on. Reception at the Moorea Pearl beach resort. Unlike on for instance Bora Bora, the resort is not situated on an island itself. 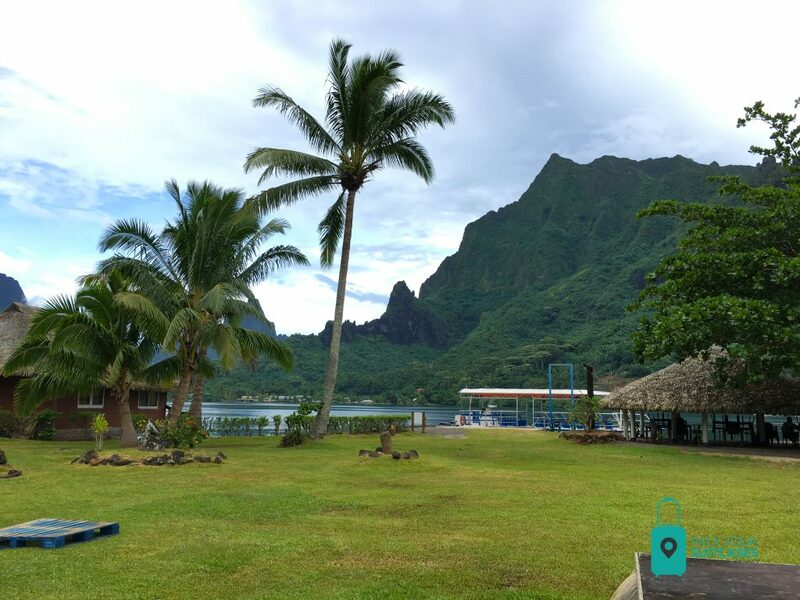 A big pro about this is that you can explore the island (Moorea) on your own without the help of a boat shuttle. When you walk out of the hotel and take a right, you will find a small shopping center about 5 minutes away. The shopping center has the essentials: an internet café, some souvenir shops, a doctor, a bank, some restaurants and a supermarket. We bought a lot of water and some sodas at the supermarket since this was way cheaper than it was in the hotel. If you would walk a little further you would come across Cook’s Bay. One of Moorea’s beautiful bays. There are a few shops and hostels around so this is a great place to spend some hours and get some amazing photos. Also directly across from the hotel you can find Albert Tours. They offer a variety of different excursions around the island. They are much cheaper than the excursions the hotel offer so if you want to do something, go over to them. We did a snorkeling lagoon excursion with them but we’ll tell you more about that in another article coming soon with things to do in Moorea. 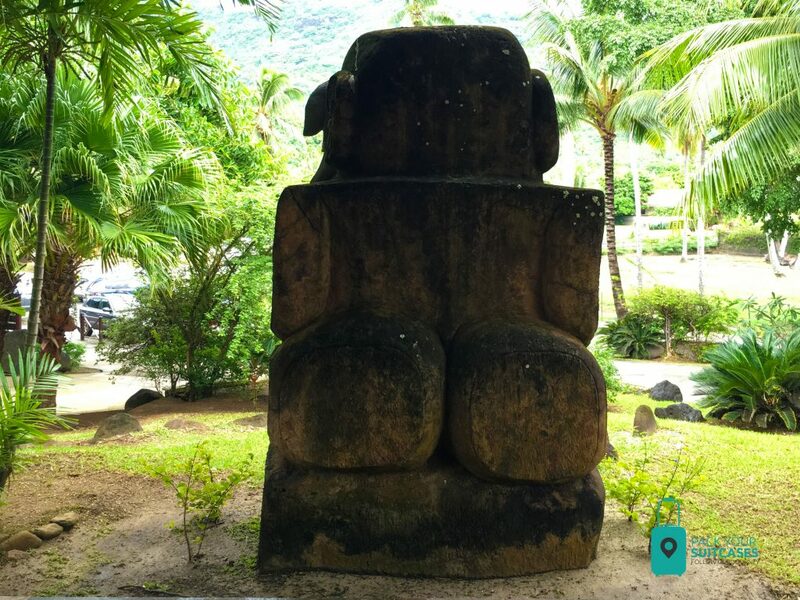 Tiki statue at Moorea Pearl beach resort. 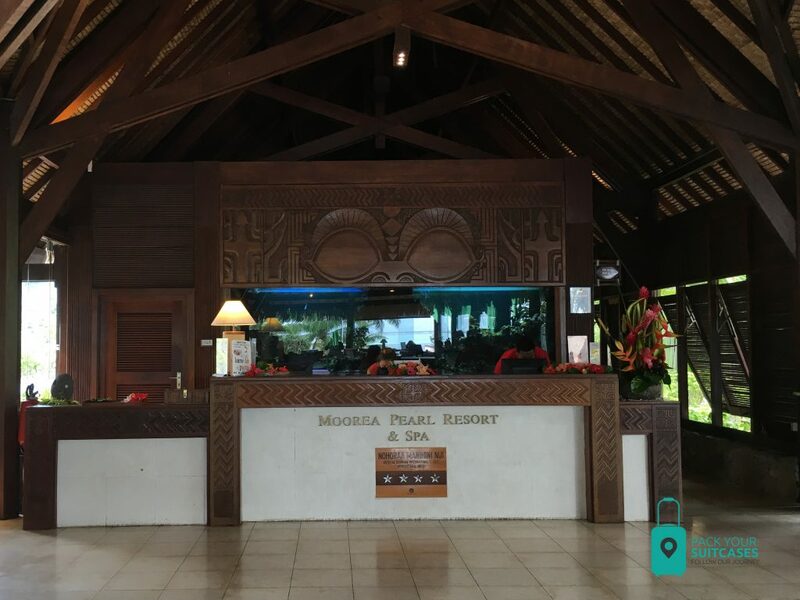 The Moorea Pearl Resort & Spa is a good hotel to stay at for a few days. 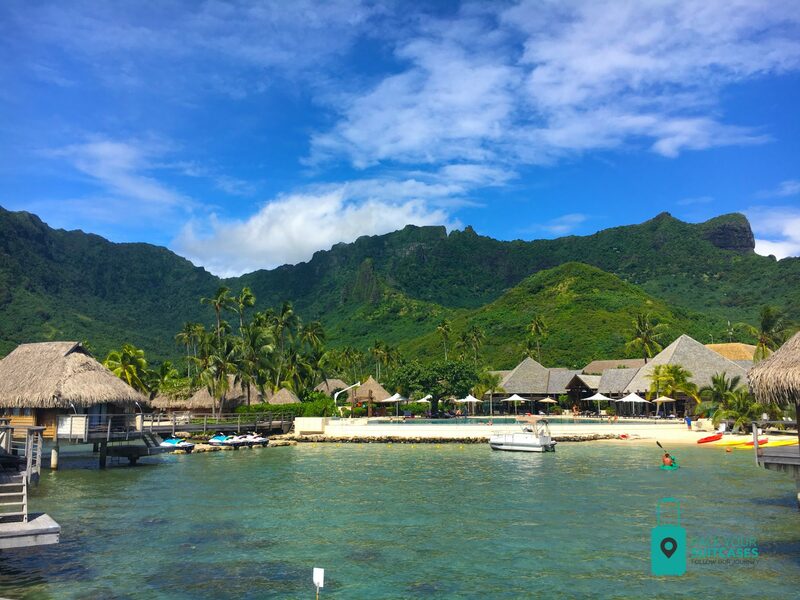 Personally we would not go to this hotel a second time when we visit Moorea because during our lagoon tour, we saw that there are many other hotels (like the Intercontinental Moorea Resort & Spa) that were situated on the better side of the Island. The water was clearer there and the views were also better.